I love a good salad and I particularly love a salad ( or any dish for that matter) that uses up leftovers. 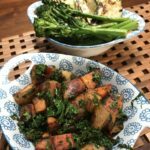 This simple and quick dish is so yummy and is a great way to use up any leftover roast vegetables you have in the fridge. 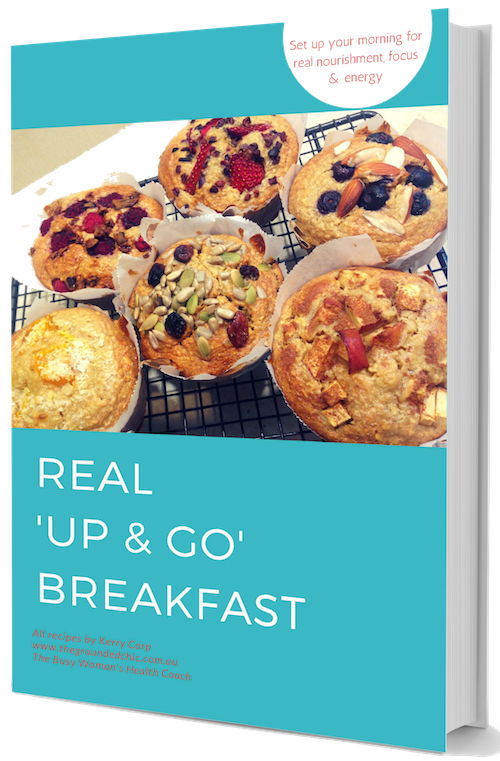 Did I mention it will take you only 5 -7 minutes to make? 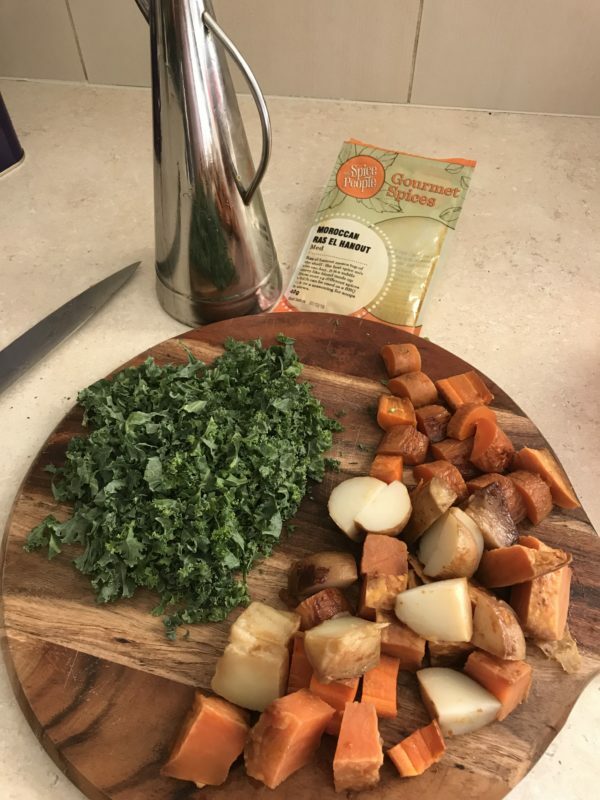 In this dish, I used some leftover roasted sweet potato, potatoes and carrots from the night before. But you could use any or many of whatever roasted vegetables you have. Just add a couple more ingredients and that is it! This dish will take you only 5 -7 minutes to make? 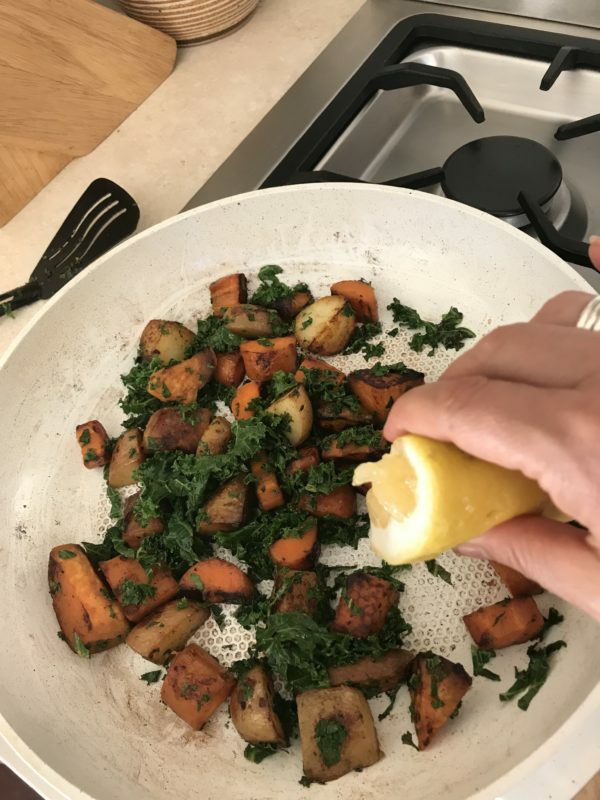 I used some leftover roasted sweet potato, potatoes and carrots from the night before. But you could use any or many of whatever roasted vegetables you have. Just add a couple more ingredients and that is it! 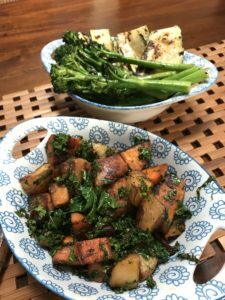 Dice up your precooked roasted vegetables. Finely slice your kale. In a hot saucepan, add a little olive oil or ghee. Fry your roasted vegetables, till golden brown. Then add in your kale, spice blend and saute. Squeeze half a lemon over the vegetables, then serve in a bowl. This dish can be served along side any grilled meat, fish or haloumi cheese. 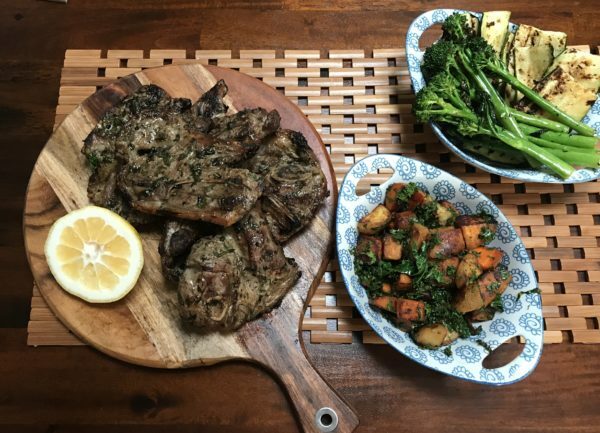 I served it along side some grilled lamb chops, brocolini and zucchini. Enjoy! Next PostHello Strangers! Its been a while.